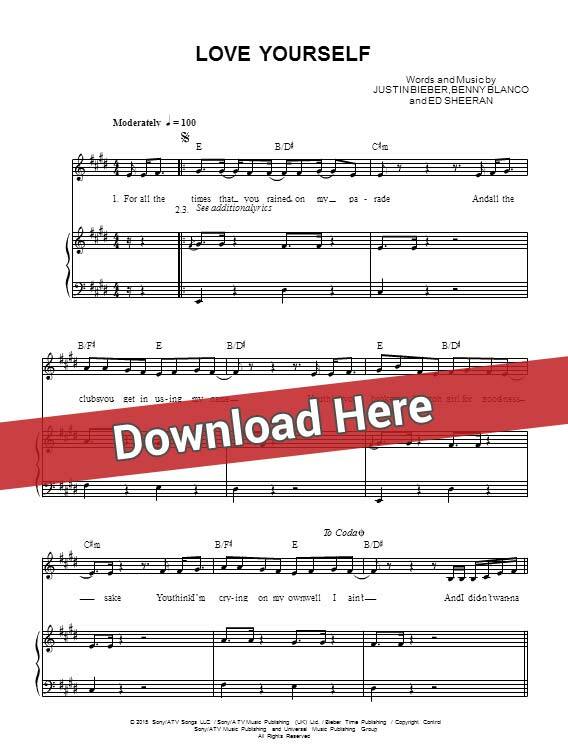 Learn to play Justin Bieber Love Yourself Sheet Music, Piano Notes, Chords in minutes. These sheets were arranged for keyboard and voice. With video tutorial. This is a 5-page score in A Major for various instrument. The song was co-written with the singer, Benny Blanco and famous Ed Sheeran.